Washington, D.C. (November 19, 2014) TheNational Park Foundation, the official charity of America’s national parks, in cooperation with the Community Arts Center in Danville, KY, announced that Traci Thompson and Warehouse Afterschool Program have been chosen to design and create ornaments to be included in the 2014 Pathway of Peace in President’s Park in Washington, D.C. Traci Thompson and Warehouse After School Program join local artists and youth from each U.S. state, territory, and the District of Columbia. The Pathway of Peace is one of the highlights of the National Christmas Tree Lighting, a national event presented by the National Park Foundation and the National Park Service. Kentucky’s ornaments were made by students of the Warehouse Afterschool Program which serves children and youth who do not speak English as their first language or who do not regularly hear English spoken in the home. The artist, Traci Thompson, is a native of Versailles, KY who brought her talents back to the Bluegrass State after studying art in Colorado and abroad. The project was coordinated by the Community Arts Center in Danville, KY where Ms. Thompson teaches painting classes and the Warehouse Afterschool Program students attend regular programming. The cardinals are papier-mâche, painted red and decorated with feathers. The birds sit in a bed of greenery and snow made from cotton balls inside clear globes. As part of Kentucky’s important and growing immigrant population, the children and their families were honored to represent Kentucky and participate in a national event. Four weeks of holiday events in President’s Park will kick off with the 2014 National Christmas Tree Lighting, scheduled forDecember 4, 2014. As one of America’s oldest holiday traditions, the National Christmas Tree Lighting began on Christmas Eve in 1923, when President Calvin Coolidge lit a Christmas tree in front of 3,000 spectators on the Ellipse in President’s Park. Since 1923, each succeeding President has carried on the tradition of what now has become a month-long event presented by the National Park Foundation and National Park Service. In addition to the Pathway of Peace, President’s Park hosts a variety of family-oriented holiday attractions, including nightly holiday performances, and model train display. For ticket information and talent announcements, as well as other event details, please visit www.thenationaltree.org and follow the National Christmas Tree on Twitter at@TheNationalTree. Join the conversation online using the hashtag #NCTL2014. 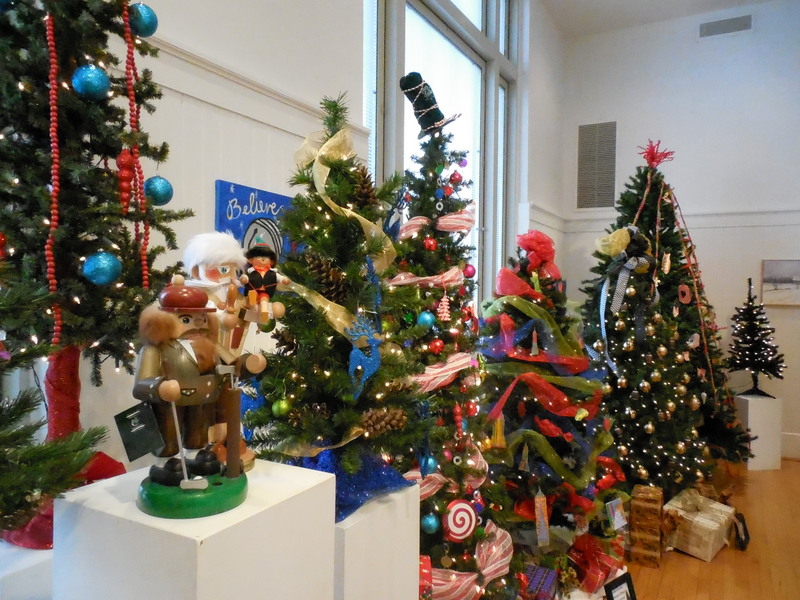 A duplicate tree featuring Kentucky’s ornaments is on display at the Community Arts Center in Danville, KY. The National Park Foundation is the official charity of America’s national parks and nonprofit partner to the National Park Service. Chartered by Congress in 1967, the National Park Foundation raises private funds to help PROTECT more than 84 million acres of national parks through critical conservation and preservation efforts, CONNECT all Americans with their incomparable natural landscapes, vibrant culture and rich history, and INSPIRE the next generation of park stewards. Find out more and become a part of the national park community at http://www.nationalparks.org. DANVILLE, KY – The Community Arts Center is thrilled to announce the November 19 opening of two new exhibits, Trees of the Season and Trains. These festive exhibits are guaranteed to warm even the frostiest of hearts and will be available for viewing, free of charge, through December 27. A Community Arts Center favorite, each year Trees of the Season invites community groups to transform the Grand Hall into a winter wonderland. The 2014 participating groups include Danville Children’s Choir, Sounding Joy, Calvary Childcare Center, Danville Office Equipment, and Boyle County Middle School Art Club. Groups were given a Frozen Forest theme, but were also encourage to create trees that speak to their own mission. Additionally, there will be 2, “in progress” trees; one of which is to be decorated by young Lisi’s Lab visitors, the other will be used to recognize Arts Center donors. Finally, a tree featuring duplicates of the ornaments designed by local artist Traci Thompson and created by the Warehouse After School Program for Kentucky’s contribution to the National Parks Foundation 2014 Pathway to Peace in Washington D.C. will also be on display (Release to follow). 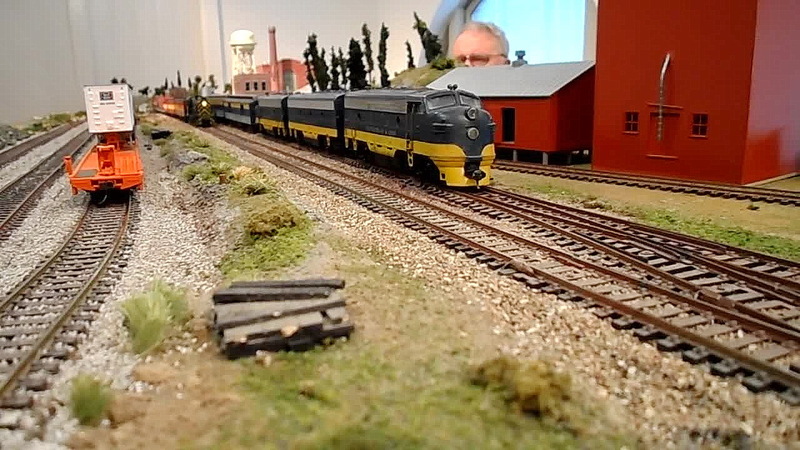 Trains will showcase the Danville Model Railroad Club’s collection in the Community Arts Center’s Farmers Bank gallery. This exhibit will feature a conductor operated train in a jubilant panoramic scene. Please note, as conductors are quiet busy with holiday shipments, “Trains” will be closed Mondays and Tuesdays. The mission of the Community Arts Center is to create arts opportunities for every member of the community. The Community Arts Center in open Monday–Friday, 10a.m.-6p.m. and Saturday, 10a.m.- 4a.m. For more information about the Arts Center, visit www.communityartscenter.net. DANVILLE, Ky. (Friday, Oct. 3, 2014) – Each year, the Community Arts Center issues a national call to artists for a juried exhibit of modern landscapes. The entries have been submitted, the juror has reviewed them thoroughly, and the final exhibit is now on view at 401 West Main in downtown Danville. In all, nearly 100 entries were received from 75 different artists, representing 19 states and two countries. This year’s juror, Judith Jia, was tasked with evaluating each piece based on photographs and descriptions submitted via the Community Arts Center’s website. Artists were encouraged to submit up to three works in any medium, two- or three-dimensional, that they believe to best represent the modern concept of “landscape.” They were limited only in the size of the work (72”x72”) and its age (the piece must have been completed since January of 2011). The criteria given to Jia by the Arts Center included a selection of works that demonstrate creativity, strength of execution and overall artistic excellence with the goal of selecting a well-rounded exhibit that showcases a broad range of artistic styles and interpretation. The public is invited to meet the exhibiting artists and enjoy light refreshments at a free reception this Thursday, Oct. 9 from 6 to 8 p.m. Light refreshments will be served. This is an opportunity to socialize, learn about the artistic process and experience different interpretations of seemingly common concepts of landscapes and water. Recipients of the 1st, 2nd and 3rd place cash prizes in the “Horizon” show will be revealed the day of the reception. Jia is an associate professor of art at Centre College, where she has taught ceramics and introductory drawing since 1998. Her work has been chosen for exhibition and won awards in competitions all over the world, including “Prevailing Winds, Current Trends in Contemporary American Ceramics” at Young and Constantin Gallery in Wilmington, Vt. and the Gaolin International Biennial Ceramic Exhibition at the Jingdezhen Ceramic Institute in China. She regularly exhibits her work at the Ann Tower Gallery in Lexington. Accepted works include paintings, photography, mixed media, woodcarvings and handmade felt by artists from Kentucky, Ohio, Maryland, Illinois, New York, Tennessee, Colorado, Indiana, California, Maine, Texas and Spain. Jorge Luis Bernal, North Bethesda, Md. Emily D. Clark, Danville, Ky.
Linda Horn Gover, Somerset, Ky.
Marta Mazur, Des Plaines, Ill.
Nathan Taves, Columbia City, Ind. Also on exhibit is “H2O: Water, Water, Everywhere,” a collaborative exhibit by the local Gathering Artists group. The group meets monthly to inspire and encourage each other, share educational and marketing opportunities, and to network with artists in the region. The pieces in this exhibit include the mixed-medium “Perryville Chaplain River Scene” in which many artists contributed a portion of the total work. Exhibiting artists include Connie Estes Beale, Ginny Birney, Hallie Brunson, Cynthia Carr, Emily Dawn Clark, Dave Cornwell, Wayne Daugherty, Donna Elam, Donna Forgacs, Pat Fretz, Marlene Hanna, Fox Hutt, Bobbie Gayle Lewis, Barbara Lockhart, Nick Lacy, Tom Lamp, W. Ted B. Logan, Nancy Martindale, Gaynella McGuire, Charlotte Bright Norby, Tom O’Brien, Diane Reed, John Robinson, Tillie Sowders, Pennie Tharp, Deb Thelen, Geri Trinler, Paula Overstreet Whitaker, Pat Williams, Madelyn Worley, and Sarah Wiltsee. Pieces in the “Horizon” and “H2O” exhibits are for sale. Prices range from $20 to $2,500. Open weekdays 10 a.m. to 6 p.m. and Saturdays, 10 a.m. to 4 p.m.
Thursday, Oct. 9, 6 to 8 p.m. The mission of the Community Arts Center is to provide arts opportunities for every member of the community and to enrich our community by nurturing the arts, fostering creativity and promoting education. The Kentucky Arts Council, the state arts agency, supports the Community Arts Center with state tax dollars and federal funds from the National Endowment for the Arts. DANVILLE, KY – (Friday, Sept. 12, 2014) – The Community Arts Center, together with Kentucky Chautauqua, will present Mary Todd Lincoln: A House Divided at the Arts Center’s September installment of the Lunch with the Arts series next Wednesday, Sept. 17 at noon at the Community Arts Center, 401 W. Main in downtown Danville. A Lexington, Ky., native, Mary Todd was educated at some of the finest schools, making her among the most well-educated women of her time. While living with her older sister in Springfield, Ill., Mary met and married lawyer and state legislator Abraham Lincoln. Mary was ambitious. She had high expectations for her husband’s political career. Her lofty expectations came to fruition Abraham Lincoln was elected President of the United State in November 1860. The Lincoln years in the White House were the most tumultuous in American history with the nation in the midst of the Civil War. Mary’s personal life was filled with great tragedy. Her 4-year-old son Eddie died when the Lincolns were living in Springfield. While in the White House, her young son Willie died in 1862. Three years later, and 5 days after Robert E. Lee surrendered, her beloved husband was assassinated at Ford’s Theatre. And, in 1871, her son Tad died of pleurisy. Four years later, a distraught Mary was committed to a private asylum for the insane by her first born and sole surviving son, Robert. 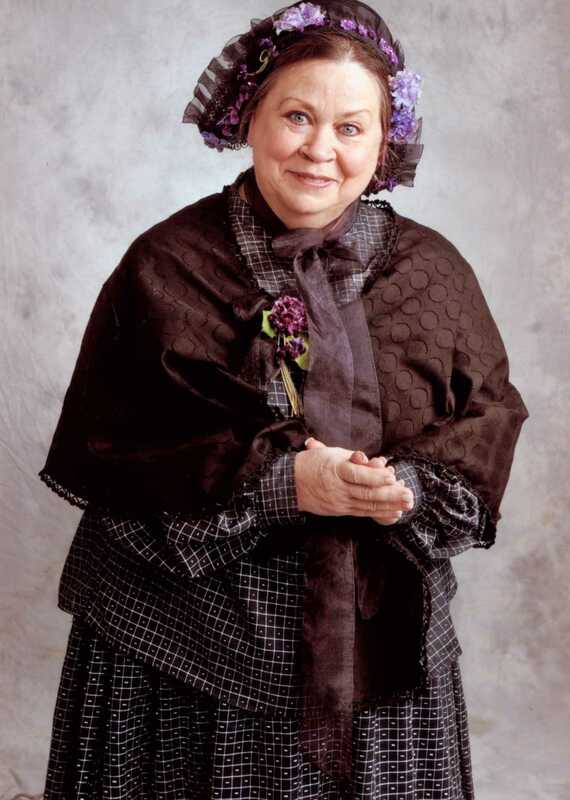 Trish Clark of Lexington portrays Mary Todd Lincoln for Kentucky Chautauqua. Clark has worked as an artist and educator for more than 30 years, and currently serves as executive director of the Woodford Theatre in Versailles. Bo List of Lexington is the script writer. List has been working in the area as an actor, writer and director for more than 20 years. This program was funded in part by the Kentucky Humanities Council, Inc. and the National Endowment for the Humanities, and is presented free of charge. Those who wish to pre-order a lunch from Cue on Main may do so by registering online at http://www.communityartscenter.net by Monday, Sept. 15. Visitors are also welcome to bring their own lunches. Lunch with the Arts is an informal program that gives the community the opportunity to meet artists, to learn about what motivates them and to better understand different creative processes. It includes a performance, demonstration or other presentation from locally or nationally known artists, musicians and creative professionals. Each program includes time for questions from the audience. Kentucky Chautauqua is an exclusive program of the Kentucky Humanities Council, Inc. with support from the National Endowment for the Humanities and from: Christina Lee Brown, the Brown-Forman Corporation, the Honorable Order of Kentucky Colonels, Lindsey Wilson College, and Toyota Motor Manufacturing North America, Inc. The Kentucky Humanities Council is a non-profit Kentucky corporation affiliated with the National Endowment for the Humanities. It is not a state agency, but is a proud partner of Kentucky’s Tourism, Arts and Heritage Cabinet. For more information, visit http://www.kyhumanities.org or call 859-257-5932. The Community Arts Center provides arts opportunities to every member of the community through exhibits, educational programs and community outreach for people of all ages and skill levels. For more information about Lunch with the Arts and other programs, visit http://www.communityartscenter.net or call 859-236-4054. The mission of the Community Arts Center is to enrich our community by nurturing the arts, fostering creativity, and promoting education. DANVILLE, Ky. (Monday, Aug. 4, 2014) – Three artists of varying styles will share different interpretations of nature in exhibits opening this week at the Community Arts Center in Danville, Ky. Mixed media works, impressionist-style paintings and digitally altered photographs will be on view free of charge from Wednesday, Aug. 6 through Saturday, Sept. 27 at the corner of 4th and Main in downtown Danville. A public artists reception will be held this Thursday at 6 p.m. The Arts Center’s largest exhibit space, the Grand Hall, will be home to Marco Logsdon’s exhibit of mixed media pieces entitled “Weathered and Reclaimed.” Logsdon was born in Seville, Spain and grew up in Arkansas. He has called the Bluegrass Region home since attending Asbury College in the 1980s. Many of his works are landscapes on reclaimed wood. Like Monet, many of Forgacs’ paintings are a reflection of her appreciation for the beauty of nature. The inspiration for this particular exhibit was a 2013 mini-calendar full of works by Monet. She would look at the paintings featured each month and search her photo files for something similar. Her many visits to France over the past 20 years have no doubt influenced her artistic works as well. The third artist on exhibit this month, Geri Trinler, is also a lover of nature and travel. Her exhibit, “Here, There and Everywhere,” is a gathering of photographs and digital art upstairs in the Lockhart Gallery. This is Trinler’s first exhibit. She has been drawing and painting most of her life, and has been interested in photography since grade school. After many years working in publishing and computer graphics, she has recently realized that technological advancements have given her new, unlimited possibilities to express her creativity. She now works with computers to bring these components and skills together. These exhibits are free and open to the public Wednesday, Thursdays and Fridays, 10 a.m. to 6 p.m. and Fridays 10 a.m. to 4 p.m. Many of the artworks on display will be for sale. The public is also invited to a free artists reception Thursday, Aug. 7 at 6 p.m. This is an opportunity to be among the first to view these exhibits with friends and family, while also meeting the artists and enjoying light refreshments. To learn more about these exhibits and upcoming events at the Arts Center, visit www.communityartscenter.net. News and updates from the Community Arts Center are also posted regularly on Facebook, Twitter, Pinterest and Vine. Wednesday, Thursdays and Fridays 10 a.m. to 6 p.m.
Thursday, Aug. 7, 6 to 8 p.m.
DANVILLE, Ky. (Monday, June 2, 2014) – Kentucky families of all shapes and sizes are invited to participate in The Great American Brass Band Festival Parade this weekend in Danville by entering the Community Arts Center’s Wagons & Wheels contest Saturday, June 9. This event, organized by the Community Arts Center each year, showcases the creativity of children and adults alike by encouraging them to decorate bicycles, tricycles, wagons and wheelchairs. Each entry competes for prizes donated by local businesses, then everyone joins the parade down Main Street. Award categories include Stars and Stripes Standout (most patriotic design), Best of the Brass (best representation of the brass band spirit), Judges’ Choice (most artistic, creative or unusual), Over the Top (best team or group effort) and the WOW award (best in show, grand prize winner). The rules are few and simple. All children must be accompanied by a parent or guardian at all times through the judging, award ceremony and parade. No pets or live animals are allowed, and wagons are limited to two children seated in each. More than two children are allowed to participate per entry if they are pulling or walking beside the wagon. Check-in and judging begins at 10:15 a.m. in Constitution Square on Main Street. Prizes are awarded at 10:45 a.m., and then everyone joins the Great American Brass Band Parade down Main Street beginning at 11 a.m.
Last year’s event sponsor, Susan Couzens, DMD, returns this year. Couzens provides financial support for the event and serves as one of the judges. Entry form and regulations are available online at www.communityartscenter.net. Entry deadline is June 4. One form of wheeled transportation is considered one entry, and $10 entry fee is required per entry. For a full schedule of Great American Brass Band Festival events, visit www.gabbf.org. Saturday, June 7, 10:15 to 11 a.m. Registration deadline Wednesday, June 4. Registration is now open for our Arts Exploration Camp and Teen Art Camp! Learn more.